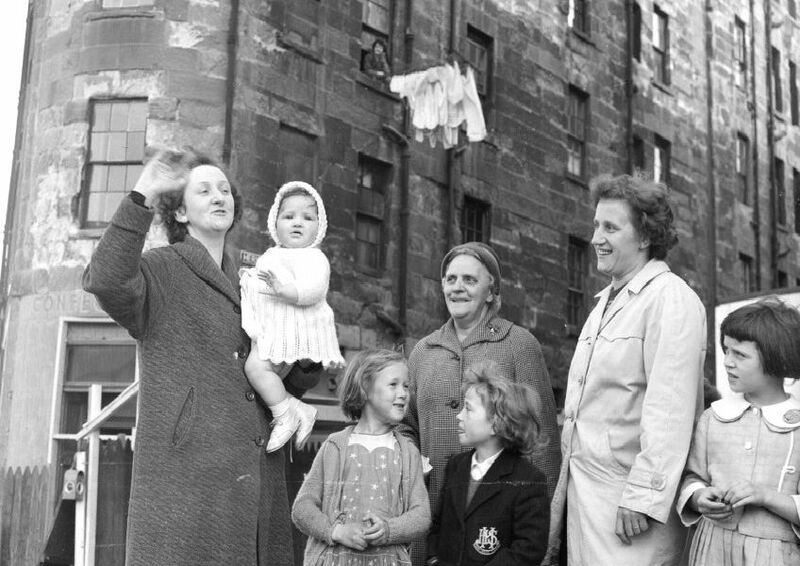 THE destruction of the Dumbiedykes district was Edinburgh’s most comprehensive slum clearance campaign of the post-war era. Over the course of the 1960s, hundreds of families were relocated from often cramped and dilapidated Victorian tenements to new, more suitable developments in the local area and on the outskirts of the city. We take a fascinating look at the Dumbiedykes district as it was, before, during and after the demolition ball fell. View of Edinburgh from Salisbury Crags looking over the tenements of the Pleasance by now mostly demolished. One of the first streets to be demolished was Arthur Street off the Pleasance. A coal lorry owned by Hugh Leckie and Sons famously crashed through the wall at the foot of Arthur Street. Tenements at Dalrymple Place and Beaumont Place being shored up after a tenement had collapsed.